Free valet service available both lunch and dinner at the entrance of the adjacent Casa Madrona Hotel and Spa. Golden Gate Transit and Blue and Gold Ferries are across the street. We offer private rooms for 10 to 150 guests. 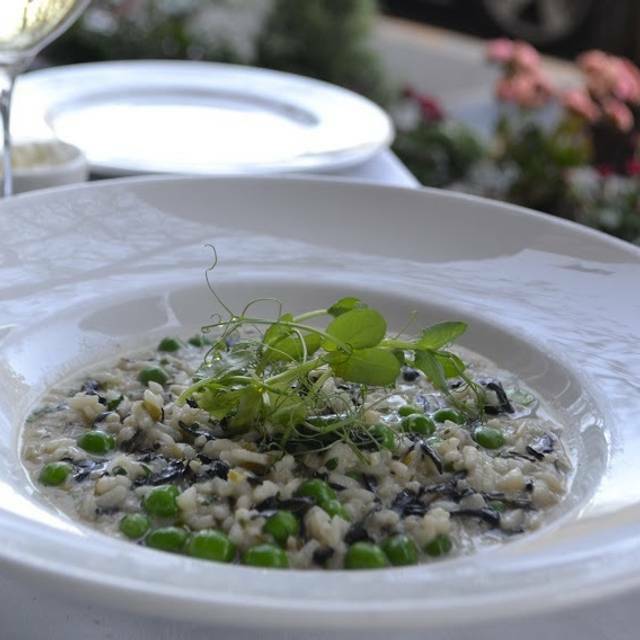 Poggio, from the Italian translation for 'a special hillside place', offers seasonal Italian cuisine. The daily-changing seasonal menu features locally grown ingredients and items from the large display wood-fired rotisserie and grill and wood-roasting oven. As always, Poggio's delivers. Our top spot for special occasions. Wood-grilled artichokes with aioli, short ribs to die for, meyer lemon pannacotta with fresh strawberries, and the best bottle of Valpolicello. Oh my. The service was outstanding. Our server dealt with my gluten-free requirements with confident knowledge of the menu, and great recommendations. I love that their menu is always "of the season". They were offering a special prix fixe the evening we were there, and we all shared it 'family style.' It was great. Lots of different tastes and textures and fun to share. Always reliable. We enjoy the food and quality of service. The restaurant is a favorite. Highly recommend anyone in Marin and worth the drive from SF. Beautiful view of the City from the main road back to Golden Gate Bridge. 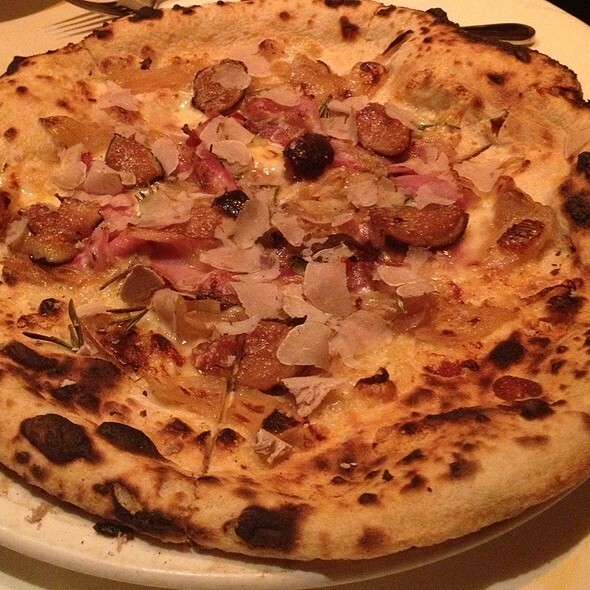 Pizzas are delicious as well as the pork chop and pastas. Great starters too. The menu is extensive. The food is good, but not at the level one would expect from a restaurant with the appearance and reputation of a more upscale restaurant. This is the second time we have eaten there, and we are unlikely to go back, not because it was bad, but because there are so many other excellent alternatives. Fabulous meal. The duck confit salad, almost an entree itself is a hidden gem. 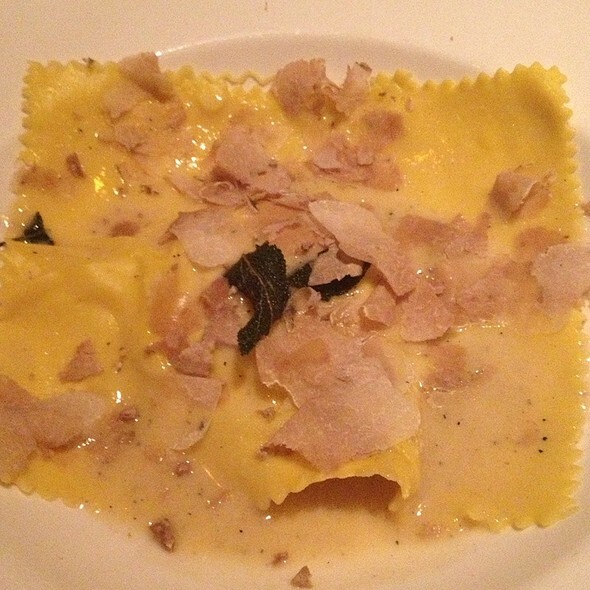 Exceptional pastas and every dish rocked! I love Poggio, been there half a dozen times and never disappointed; fabulous Italian which freshest and best of ingredients. The ambience was geared to enjoying conversation. Waiters often hard to find here, but when they do appear, very good. Octopus appetizer exceptionally good, as was the trout and the halibut . Main dishes had a nice balance of protein and vegetables, which is unusual. Well chosen wine list, varied and reasonably priced. The food here was spectacular, all of us enjoyed the apps and the dinner, we will be back! Great food, as always. Loved the papardelle Bolognese. A little noisy. Excellent food, stellar service, great atmosphere. Antonio - the manager is always so gracious and unassuming - is fantastic. Debbi Walker is the best server there is. So attentive, friendly, professional and on point with everything!!! The food, ambiance and service were excellent. There are plenty of options on the menu for everyone. I have to say it was affordable for the quality of the food and fine dining experience. I will definitely be coming back! Great food and beautiful atmosphere. Service is very attentive. Weather was perfect for a Sausalito adventure. Our waiter explained menu items and played along w/ our jokes. .Everyone ordered something different and loved it. My husbands pork chop was the most succulent and delicious pork chop I’ve ever tasted. Service and food were excellent. Kudos to a perfect evening! We were there to celebrate an engagement with new inlaws. Lovely evening. Service was attentive, yet allowed us to take our time talking the evening away. The food was quite good. 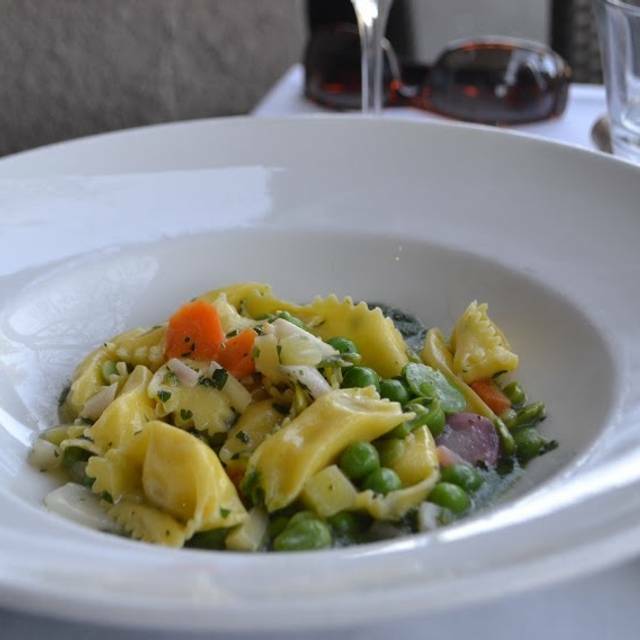 Everything from perfectly prepared fish to fresh pastas were delicious. I always enjoy the view and ambiance. our server was wonderful very personable and well trained. Always enjoyed eating there.The 32 ounce steak is outstanding. Good menu with a decent amount of choices.One of the top 3 restaraunts in Marin for sure. We went for the Tuesday night family dinner. Five appetizers, one large main (lamb shanks this time) and one large shared dessert. That lemon mousse with crushed meringue and pistachios was superb. The only thing off was the microscopic portion of grilled asparagus—four spears. I haven't had dinner here in years, and joined a colleague on a Tuesday night. Overall, great experience. Outstanding food from an extensive menu: for antipasti, we split the veal and pork meatballs in a thick, tasty tomato sauce, then split the gem lettuce salad with shaved pecorino, my friend then had the mussels in linguine which he loved, and I had a spicy ground pork and fennel orrechiette that had just the right amount of heat. We also had a tart lemon sorbet for dessert. The service was attentive, and the only very mild criticism I might have is that our server's Italian accent was so thick that we sometimes could not understand him. Highly recommended. My only call out is...they brought out three entrees, then we waited for several minutes before my entree came out! Pasta cools quickly!! The brussels sprouts were pretty good, but they could be better with Parmesan cheese and maybe a little vinegar. Everything else was great and we loved our waiter! We have been here previously, but it was an anniversary treat from a cousin that we both were able to dine with the evening we attended. Our table was available immediately and after making our choice of water, we ordered some Prosecco. It was Italian and very enjoyable. Our hostess had a salad for her starter and we split one as well. A pear, huckleberry & cheese salad on mixed greens with a delightful dressing. We had not tried this previously. Yummy! My husband had a pasta with red sauce, I had the WONDERFUL saffron risotto with marscapone & Dungeness crab. Our hostess had quail, which she also enjoyed.Truly delicious main courses! We were then treated to a shared dessert of our choice in honor of our anniversary. We dined early, so the noise near our booth table was minimal. It mildly increased before leaving, but all in all, NOT too loud! Our waiter was attentive, but lacked in personality. They have valet parking for validation, so that’s a plus in Sausalito! We will return....most enjoyable evening and not over priced! Fish dishes were not as flavorful as it used to be with this new chef. 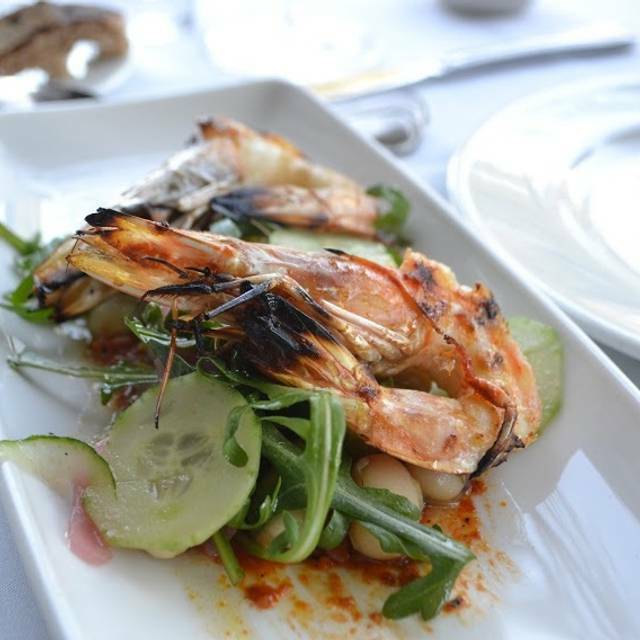 We do miss the original grilled whole fish dish, which we did not see on the menu this time. All good except it is a journey to reach the restrooms. A lovely venue with excellent Italian fare. Service was impeccable. The receptionist was most accommodating of our request for a quiet booth. Highly recommend. I hop[e when we go to Italy this fall the food will be as good. I rarely order desserts because I figure the wine has already taken care of my calorie intake, but the lemon mousse was worth every sweet bite. 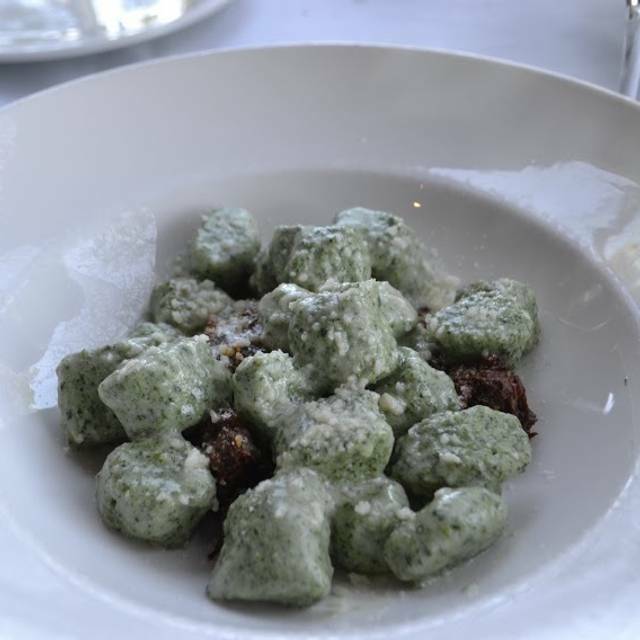 It's a pretty place in Sausalito and the menu presents some novel takes on traditional Italian. The execution of the interesting-looking menu was just average, though, & where things really fell down was on the service side. Our server communicated with us exclusively in two word phrases "want drink? ", "want food? ", etc and couldn't really tell us anything about the menu or the wines. Sadly, this seems like yet another one of those great concepts that falls apart in practice due to lack of supervision from the people who created the concept. Such impeccable service and outstanding food. This is a must for any special occasion, or if you want authentic, delicious Italian food. Even though the space is large, noise was not an issue. We had a booth toward the back. The cauliflower apps are to die for! Our table had a mix of pasta, seafood and pork chop and everyone was very happy. The staff was very attentive (not too much so) and accommodating. For lunch - excellent appetizer and soup. Excellent service. The most delicious bread. Perhaps one of the best meals we have had there. Every dish but one was excellently prepared and that one was still quite good. Wine selection continues to be strong though I would like to see a half bottle champagne in addition to the Italian sparkling options. Service was spot on and the timing has no noticeable flaws. Delicious- starting with the warm bread and on to delicious pasta and wine. 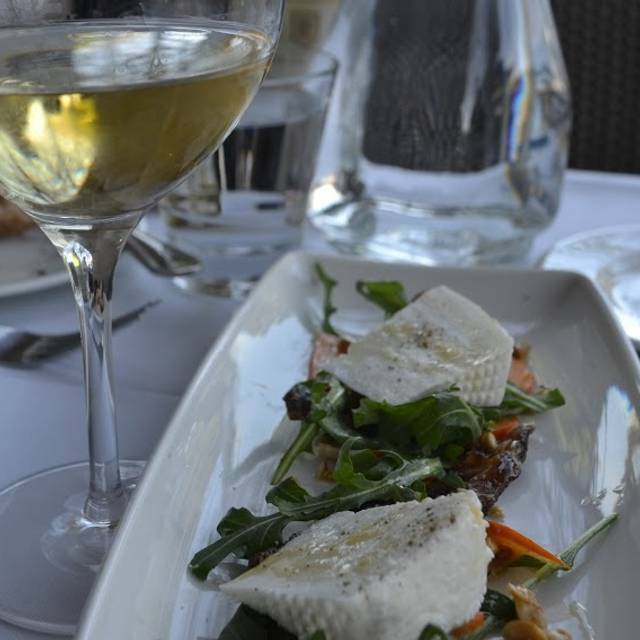 The perfect dinner on a quiet weeknight in Sausalito. Grazie mille.